Jaunty frills peek out over the cinched waistband of stretch denim skinnies to create the illusion of a flouncy paperbag waist. 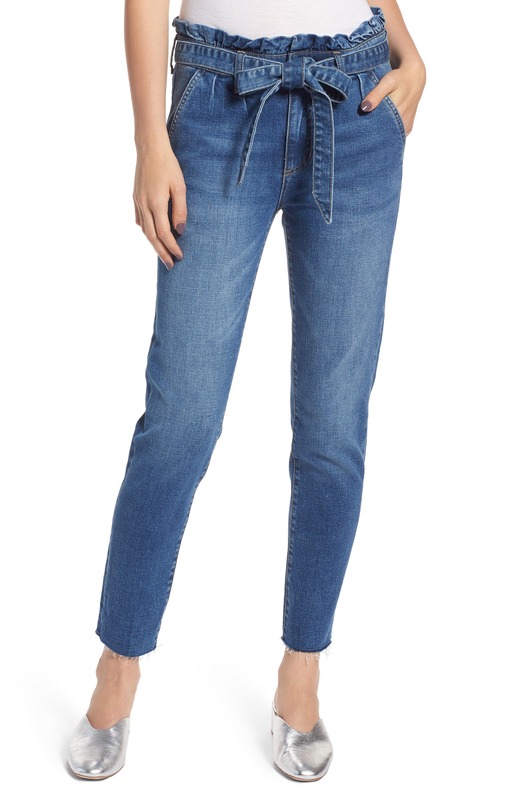 Style Name: Prosperity Denim Paperbag Waist Skinny Jeans (Pretty). Style Number: 5622712. Available in stores.